So it's a new year and I am STILL behind on my blogging. I was so close to catching up, and then the holidays arrived. And we were busy/I really didn't feel much like blogging. Sorry. Anyway. These are from back in November. I wanted to try out a new soup recipe, but I knew if I tried having just that for dinner, I might have a mutiny on my hands from the hubby. What to do? I decided to give the good ol' grilled ham and cheese a little twist. 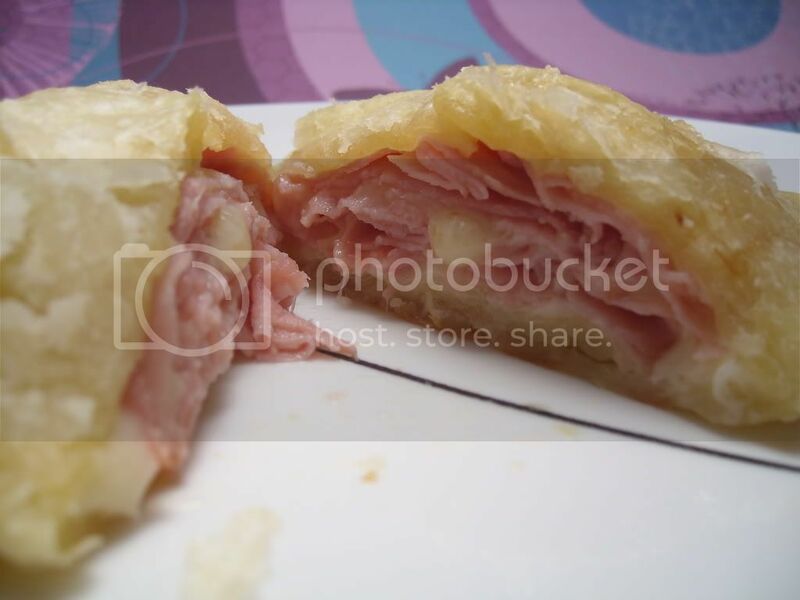 Instead of the regular bread, I decided to wrap the ham and cheese in pastry puff and bake it. 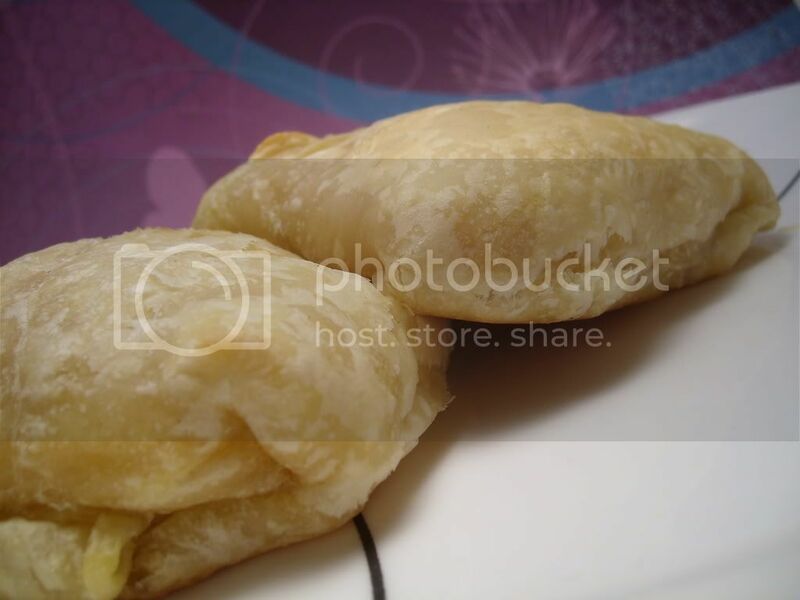 Lay pastry puff sheets flat on parchment paper. Cut 6 3x3-inch squares to use as the base. Using a round cookie cutter (with a diameter smaller than 3 inches), cut cheese into rounds. On each square, alternate two slices of ham with one slice of cheese. There should be three layers of ham and two of cheese. Using the remaining pastry, cut 4-1/2x4-1/2 inch squares. Lay large square over the top layer of ham, and tuck underneath the bottom pastry square. Bake at 400 degrees F for 20 minutes. These turned out so much better than I ever expected! 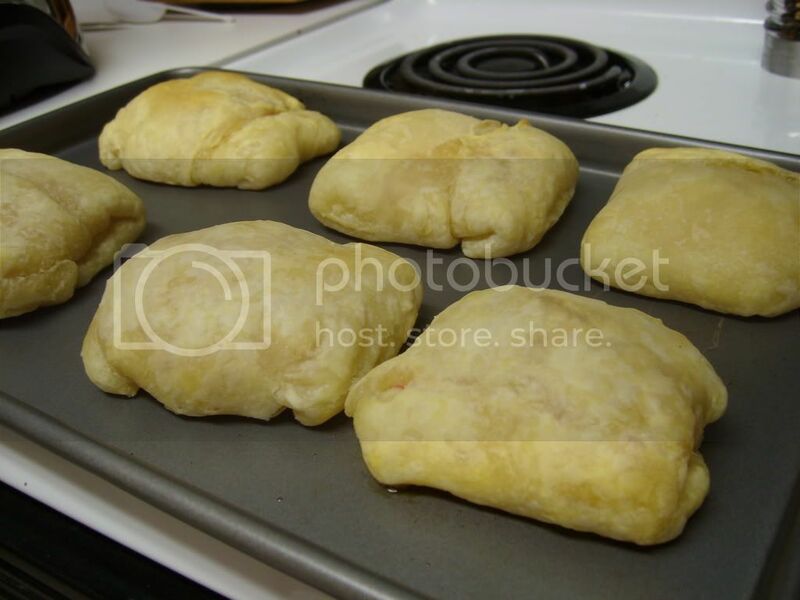 Using the pastry puff made these lighter and sweeter than the traditional grilled ham and swiss. This recipe definitely has room for improvement and tinkering though. I think I might try ham and flavored cream cheese next time. These would work really well to serve as a heavy appetizer at a get-together as it's smaller than a typical sandwich.